There's something magical about walking across Chyulu Hills with a Masai warrior guide, his red blanket flowing on the breeze as you approach a herd of zebra. 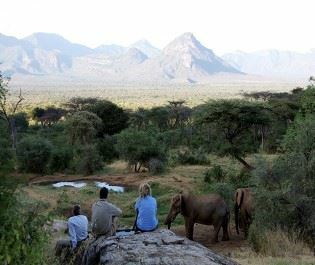 Mammals and Masai share Chyulu's green volcanic hills and the experience blend natural wonder with cultural bliss. 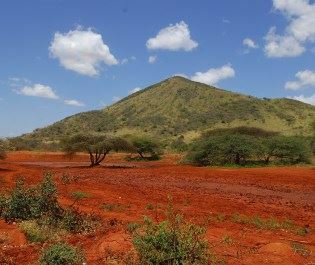 Chyulu Hills is a park that rewards time. 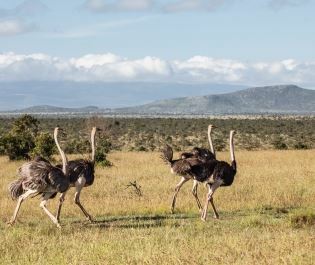 Come for a single game drive and you might be disappointed, because the park's big game is less abundant than other Kenyan safari destinations. 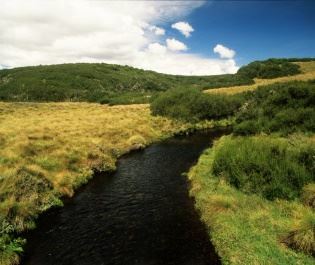 But spend a few days immersed in the landscape and you get lost in an indelible charm. Reedbuck graze beside your verandah, a baby giraffe plays beneath a mother's watchful eye and old elephant bulls grace the panorama at sunrise. Take your time and we've found that there's a lot to admire. 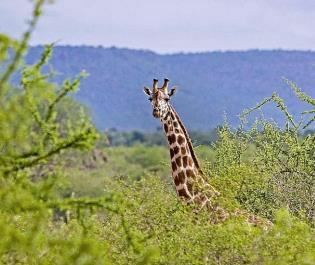 Unique ways to see Chyulu Hills' vast wildlife. 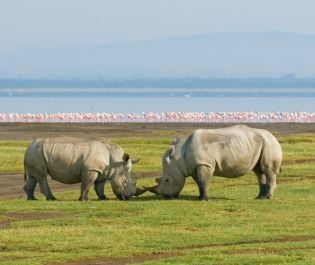 A handful of black rhino are the ultimate highlight here, although these bashful characters aren't spotted as regularly as the elephant or giraffe. 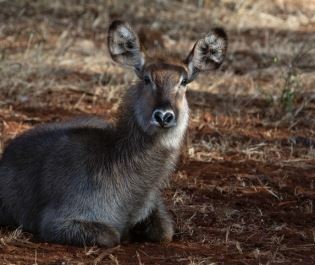 A colourful cast of antelope dapple the plains and a Masai-guided walking safari is a thrilling way to see them. 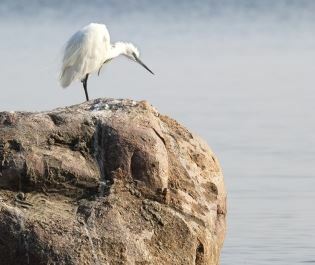 You learn the tricks to animal tracking and discover the clues that the wildlife has left, then approach slowly and silently until the proximity is astonishing. 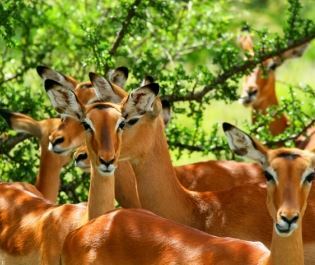 The same journey on horseback is equally captivating and we have fond memories of cantering up alongside a herd of Grant's gazelle. Luxurious accommodation is paramount here. 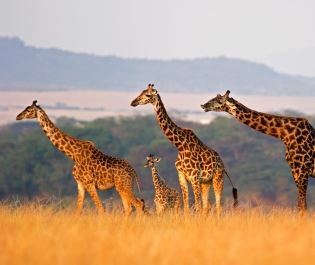 Chyulu Hills is an essential part of the wilderness that stretches along the south of Kenya. 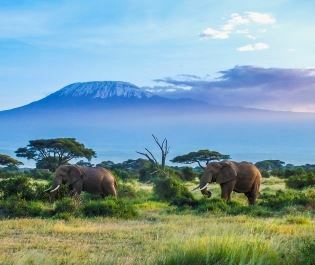 The accommodation is exquisite and often makes the experience; we can recommend a couple of opulent camps that lie in private concessions between Chyulu Hills and Amboseli, giving you safari access to both parks. 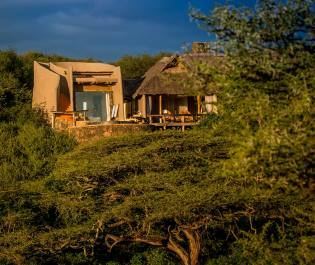 During the evening you might even hear distant lion roars, indicating where to start the next morning's game drive. 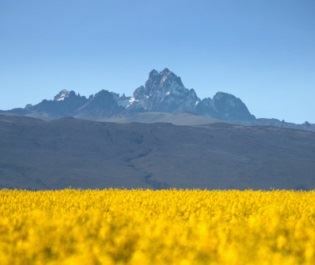 Some visit on an overland journey that incorporates the neighbouring Amboseli and Tsavo parks. 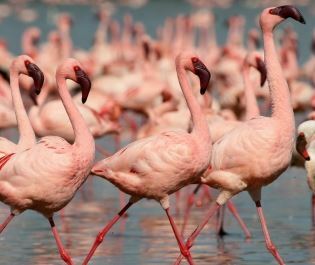 On a luxury safari, flying in to Chyulu Hills provides an enchanting interlude on a busy itinerary. Compact and calm, it's the perfect place to recharge the batteries while still being submerged in the culture and nature of East Africa. 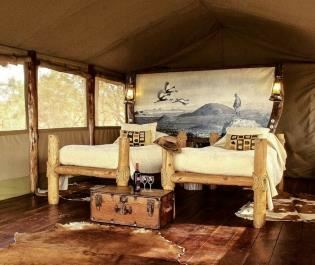 Inimitable camp that effortlessly combines wildlife and Masai culture with a luxury safari experience.